A top baseball prospect for the San Francisco Giants has been freed on bond after the family of the man he is accused of killing asked a judge in the Dominican Republic to drop the case. Angel Villalona would have spent two months in jail while attorneys prepared the case. 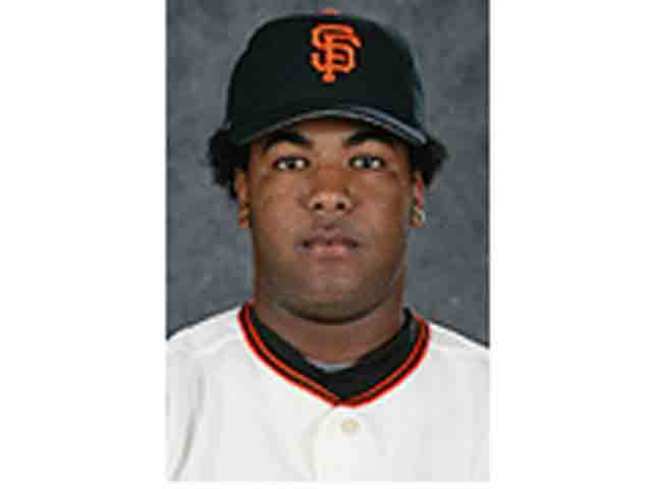 Villalona was signed by the Giants in 2006 and received a $2.1 million signing bonus. Prosecutor Jose Antonio Polanco told The Associated Press that he still intends to prosecute the 19-year-old first baseman. "The judge accepted the decision of the family ... but we intend to follow through on this charge," Polanco said in a weekend interview. Villalona turned himself in 12 hours after a Sept. 19 shooting at a bar in La Romana. He could face up to 20 years in prison if found guilty of killing 25-year-old Mario Felix de Jesus Velete. The first baseman played in 74 games with Class-A San Jose this season, batting .267 with nine home runs and 42 RBIs. Baseball America chose him as the Giants' top prospect before the 2008 season, and he was selected for the Futures Game during All-Star festivities that year. The Giants have declined further comment on the case.